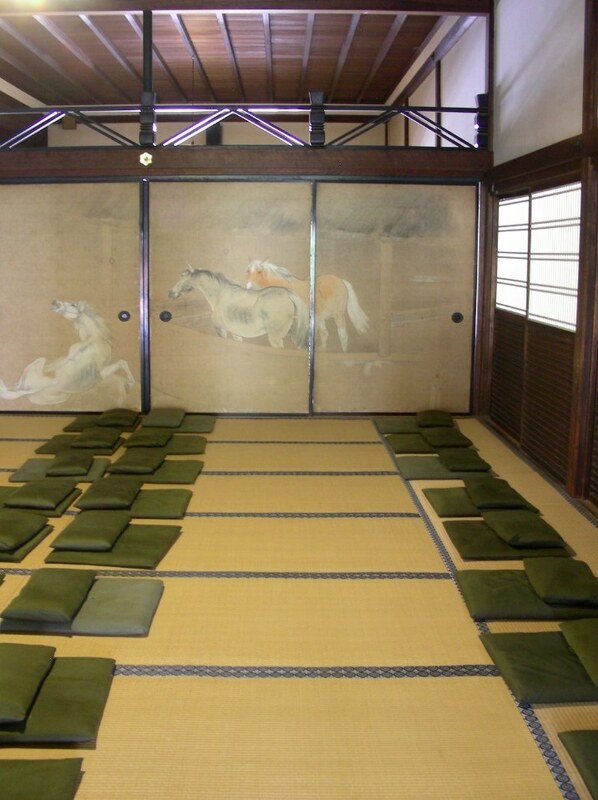 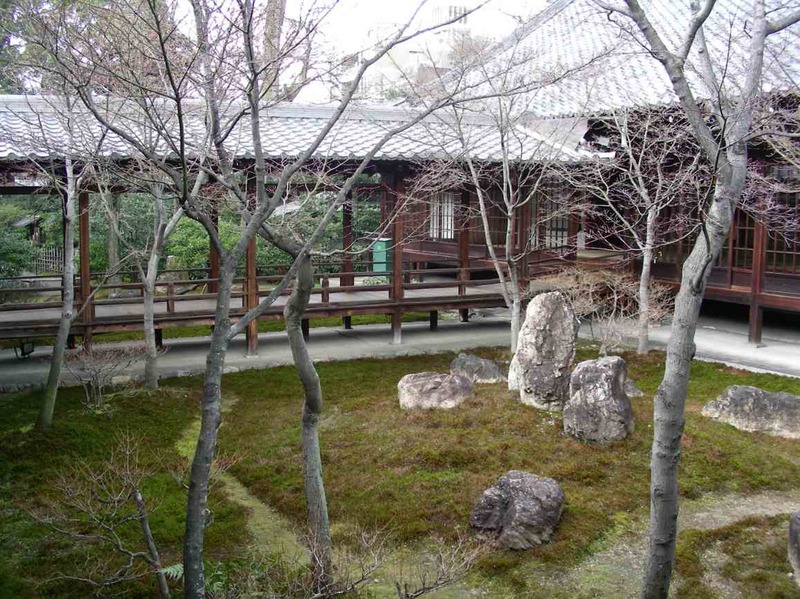 Kyoto’s Kennin-Ji is a Zen temple for one of the main branches of Japanese Buddhism. 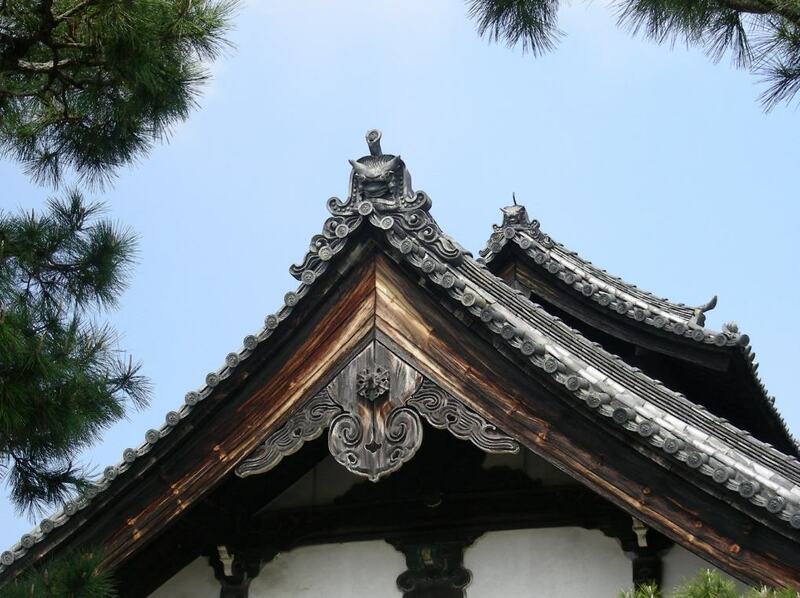 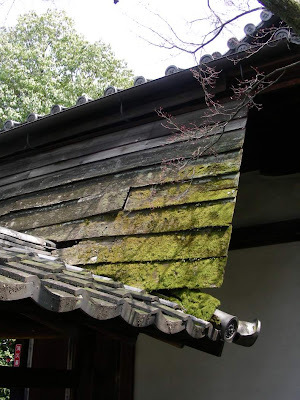 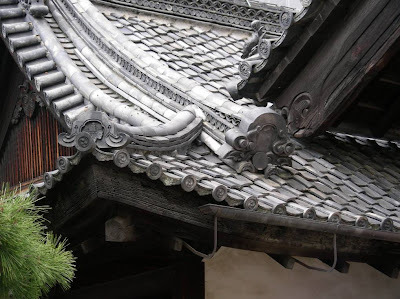 The gabled copper roof and attached entryway indicates the structure is of hojo architecture. 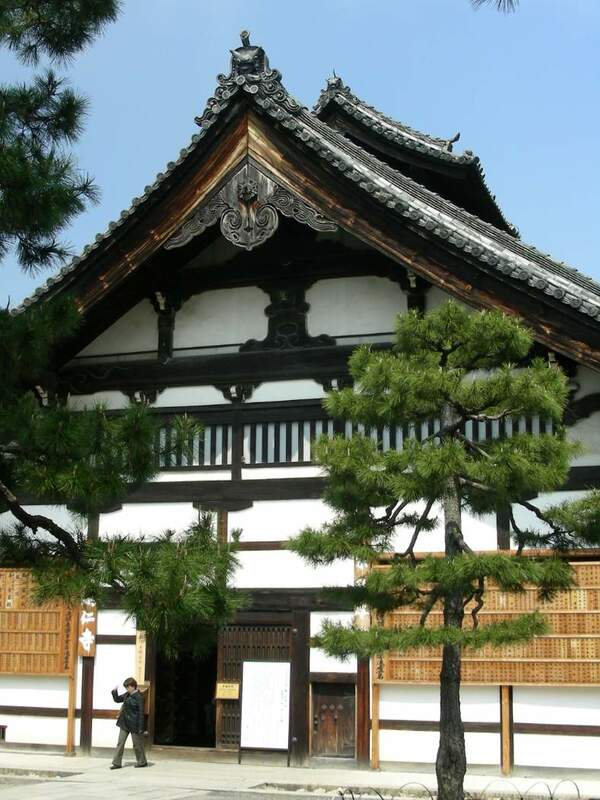 This temple was founded in 1202 and completed in 1205 with buildings added or replaced after disasters. 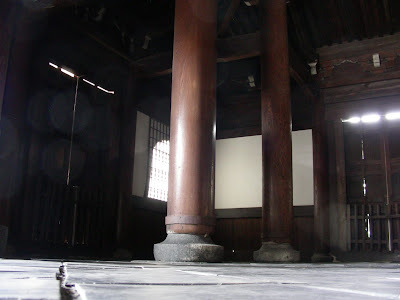 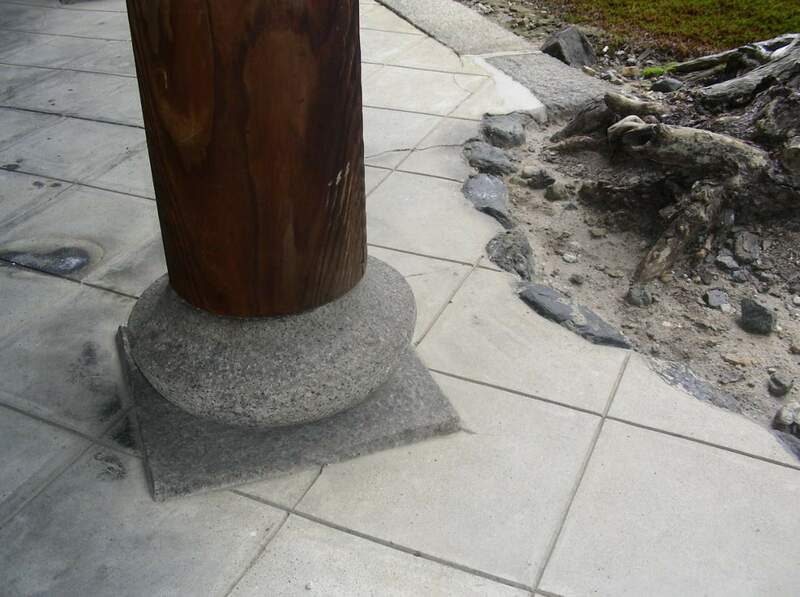 A fatal blow came in 1552 when a military command set fire to a local street and the Kennin-Ji was left in ruin. Re-built again in 1765, the Nenge-dou hall is used as the main hall. 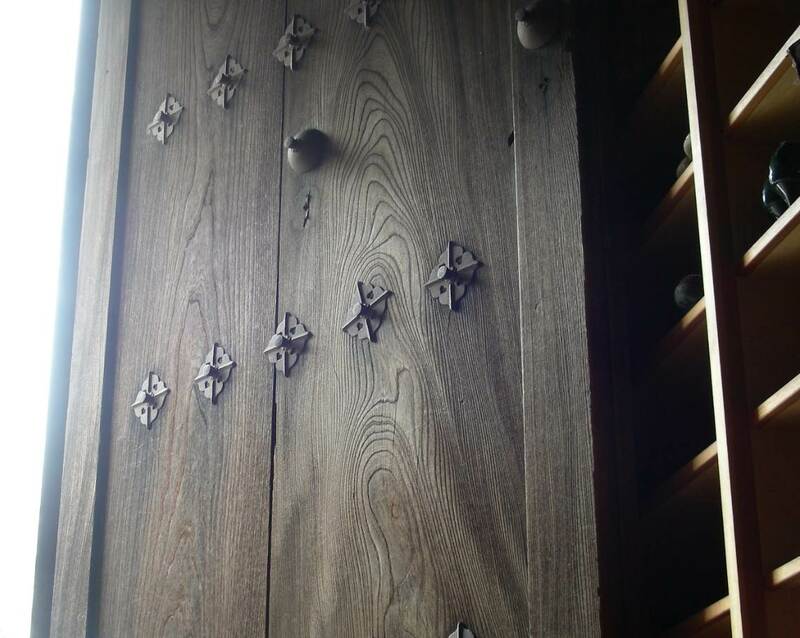 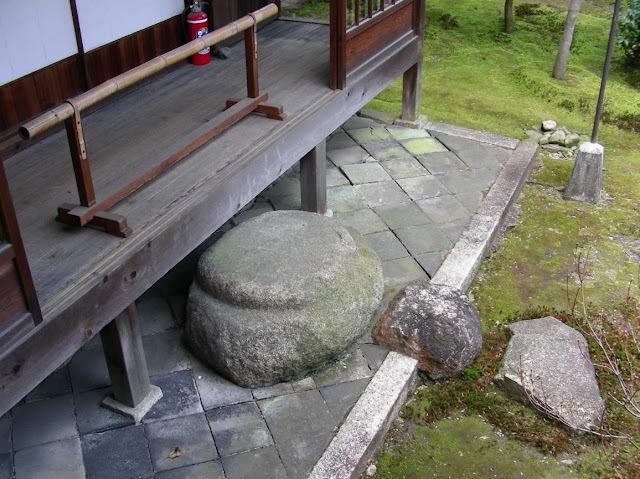 A large typhoon struck in 1935, again leaving Kennin Ji in need of rebuilding. An ink paper drawing “TwinDragons” commemorates the 800 years since Kennin Ji’s founding and measures 38 feet by 51 feet. 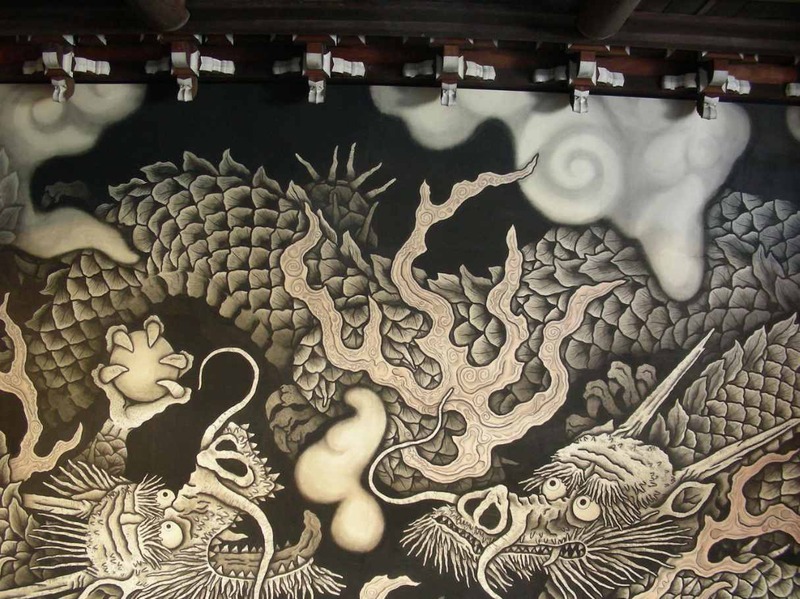 Dragons are believed to be protectors of Buddhist teachings. 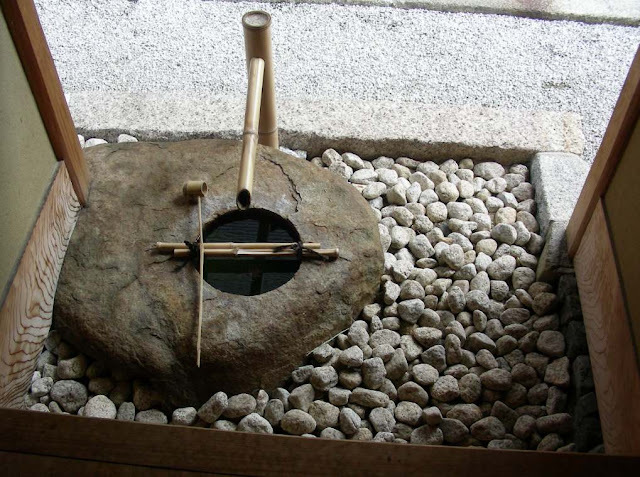 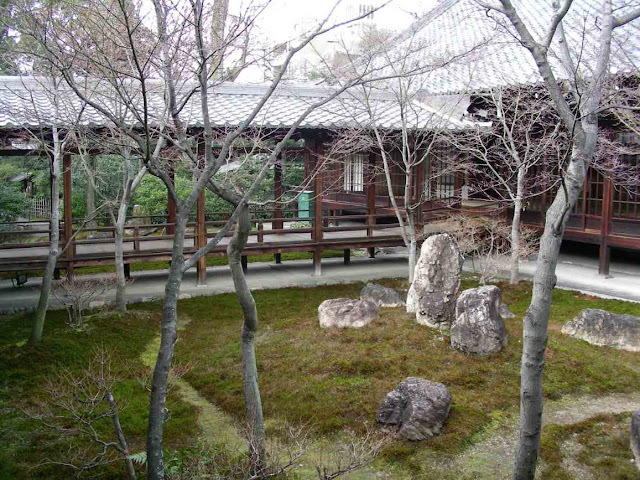 The garden features three large stones that represent Budda and two Zen Monks plus a stone for seated meditation. 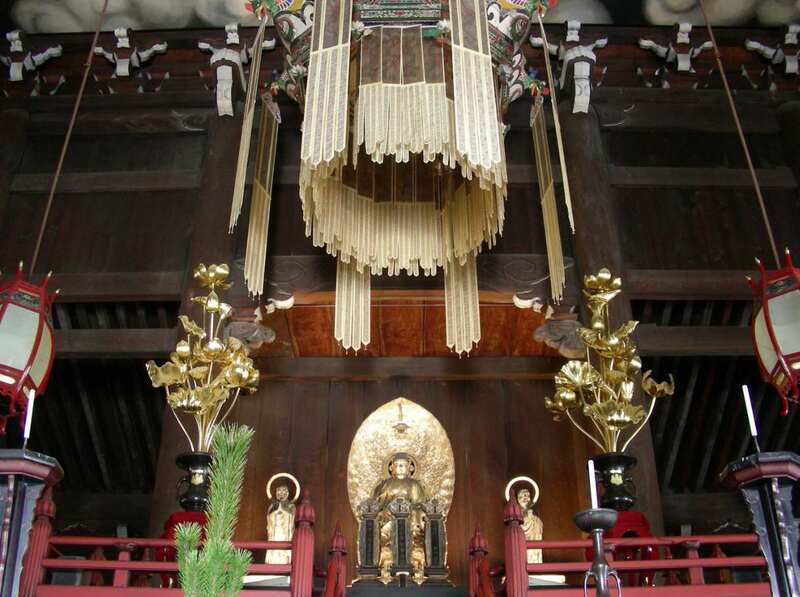 If you stand still and wait for it, the sense of religious calm is quite palpable within this ancient temple. For a few brief moments, I may have even felt a flicker of faith pass through me. 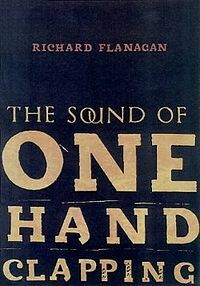 Or did I? 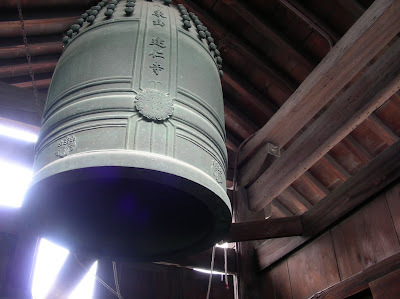 That was Zen and this is Tao.